– Writers who want to discuss their writing practice in general, learn to manufacture new inspiration, get help with goal-setting, and benefit from other writers’ experiences. Refer you to agents or publishers. Critique any work you bring in (take a look at our Writing Group and Critique Workshops for that). 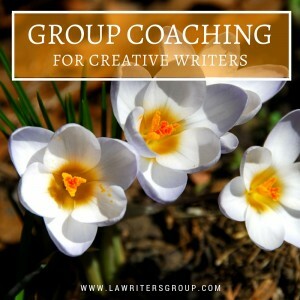 No two group coaching for writers meetings are the same as they are based on the individual needs of each participant, so attend as many as you’d like! If you are interested in private one-on-one coaching, you can schedule a free 20-minute phone consultation or book an appointment with a private coach here. Nicole is genuine and is truly an expert in the craft. This is the best writing organization you will find!! I’m from Michigan and contacted Nicole about private coaching in 2015. Our first meeting/consultation was incredible. I felt like we had been friends in a past life. Nicole is genuine and is truly an expert in the craft. It is always a pleasure to gather in this intimate setting with a few writers who want to read literature, together. In this sacred space, we go further and higher when we read out loud and talk about what makes a particular piece so moving. Then, we can all come alive with inspiration! Since I began working with Nicole, she’s provided valuable coaching and feedback every time we’ve met. I came to Nicole with a few ideas scrawled into a Moleskine notebook, and six months later, I proudly printed out the first draft of my manuscript. With her guidance, I’ve been able to propel my story, characters, and prose to a level I could not have achieved on my own. I cannot recommend working with her highly enough! Now, here I am, with a finished first draft. In terms of experience, she meets you where you are.